Defence Minister Christopher Pyne has announced the successful signing of a new memorandum of understanding (MoU) between Australia and Papua New Guinea, which will see enhanced Australian presence in the Pacific. Australia and Papua New Guinea reached another milestone in the bilateral relationship with the signing of the MoU for the Joint Initiative at Lombrum Naval Base. Minister Pyne said the MoU was a significant step forward, following the joint announcement by prime ministers Scott Morrison and Peter O’Neill on 1 November 2018. "The Lombrum Joint Initiative will increase interoperability between our defence forces and provide greater opportunities for training and joint activities, as demonstrated by HMAS Choules’ recent visit to Lombrum Naval Base," Minister Pyne said. Prime Minister Morrison announced a renewed focus on Australia's role in the Pacific region as part of the 'Pacific step-up' program announced at the 2018 APEC summit in Port Moresby, PNG. "The Joint Initiative will enhance PNG Defence Force capability to protect its borders and maritime resources through a broad program of mentoring, tailored training, infrastructure development and shared facilities at the PNG Defence Force base," Minister Pyne added. 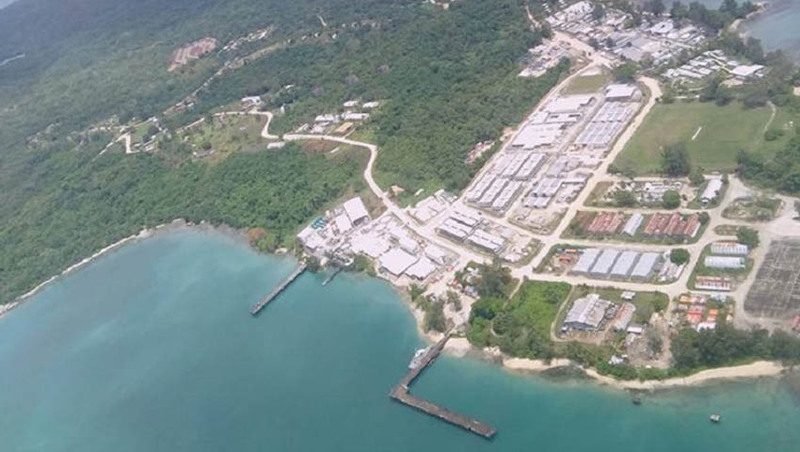 "Increased co-operation at the PNG Defence Force base in Manus Province is a natural extension of our longstanding and collaborative defence partnership, and demonstrates the Australian government’s commitment to the Pacific step-up," Minister Pyne explained.